One of the best things about sewing is that you can dream up a garment in your head and then make it, exactly as you like it. I’m really excited to see how you make the Mathilde Blouse your own. It’s a versatile design that will look lovely in lots of different fabrics, plus the style has plenty of room for adaptation. * The pattern works well in lightweight, drapey fabrics. It can look very elegant in silk or polyester crêpe de chine, habotai, charmeuse… or that mystery fabric you scored for £2 from the man outside Sainsburys at Walthamstow Market. * If you find sewing with slippery fabrics tricky, try a cotton, such as lawn, voile or chambray. 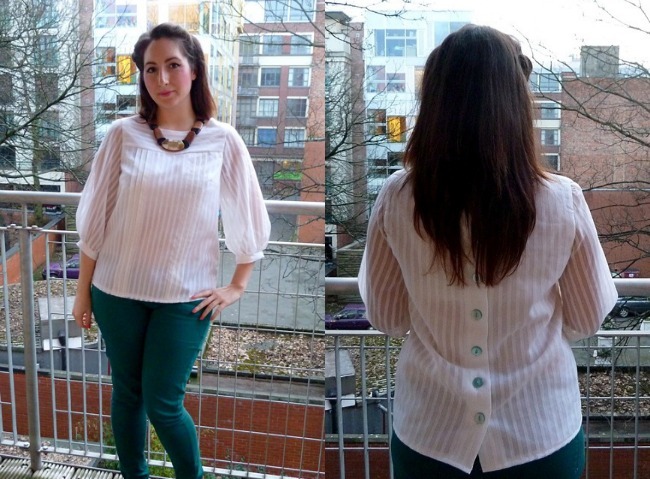 Keep it lightweight and drapey so the blouse doesn’t end up looking too stiff. * Patterned fabric is lovely, but plain fabric will let the tuck lines shine. * The buttons down the back are one of the stand out features of the design. Experiment with contrast, self-covered, novelty, rainbow, tonal or ombre colour buttons. So many options! 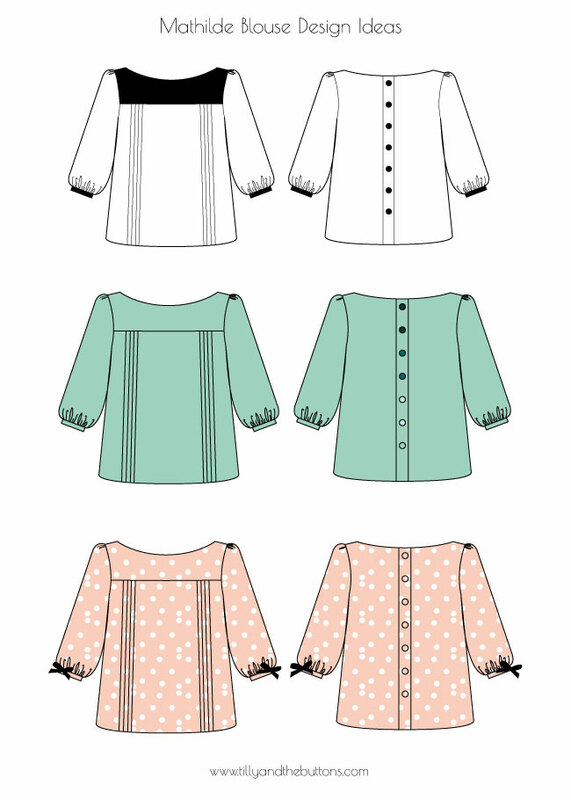 * How about making the yoke and cuffs in a contrast colour to the bodice and sleeves? * Loving Mr Selfridge as much as I am? Try channeling that Edwardian chic into a cream cotton and lace version. * Add a strip of piping, ricrac or other trimming between the yoke and front bodice. 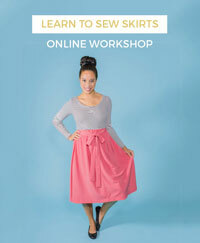 * Instead of sewing tucks, try gathering the excess fabric on the front bodice into the yoke. * How about attaching mini bows to the cuff bands? * Hand stitch an embroidery design to the yoke, or use the fancy topstitches on your machine. * Check out the Maker Gallery for more design ideas. 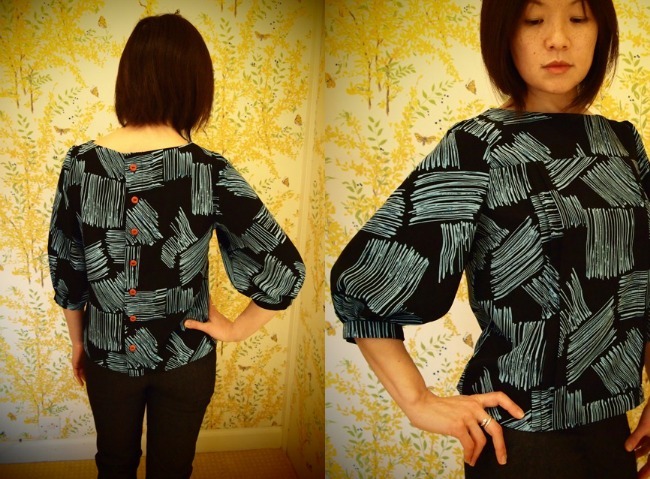 What ideas do you have for making the Mathilde Blouse your own? I’d love to hear! Leave a comment below or if you write a post, please leave the link so I can see. Oh my goodness, I’m sooooooo excited to see your Mathilde Blouses!!! PS. 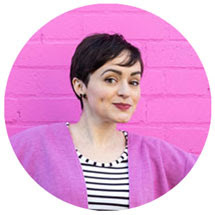 If you follow me on Twitter, you've probably witnessed my gushing, but I really am so touched by all the warm and supportive comments and messages you've left me about the Mathilde Blouse Sewing Pattern. Thank you!! !